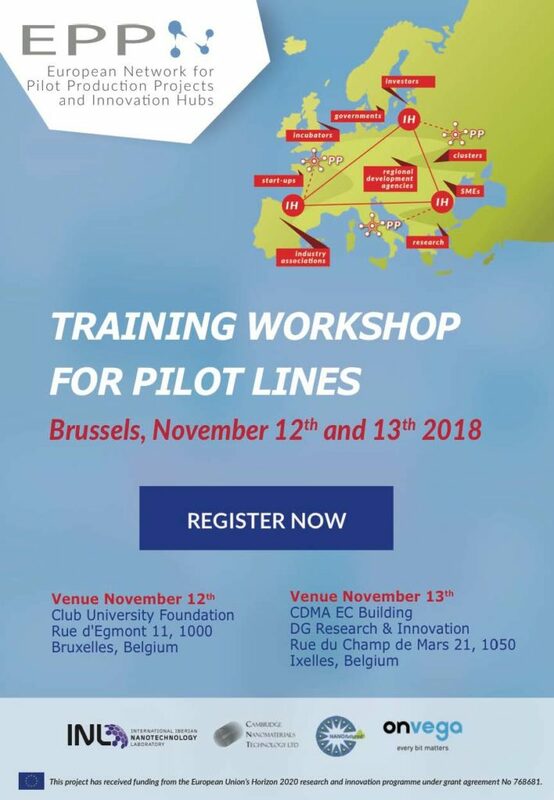 On November 12th-13th, Brussels will be the stage for the “Pitch Training Workshop for NanoMarket” aimed at pilot line owners and powered by the European Pilot Production Network. 142 pilot productions and 41 Projects are already at the EPPN and Marketplace tool. Come and join them at the event that will gather experts from the nanotech sphere in a vigorous debate around the EPPNetwork, the digital platform and the next steps and challenges to be addressed within the WG. Register here and know more about the EPPN project and how it can help you grow.